Mental fatigue or mental fatigue is a concept that can be confused with physical fatigue, although they are different. Mental fatigue is related to prolonged symptoms of stress (whether or not work), anxiety, depression or overwork and lack of resources. This type of fatigue is different from sleepiness (need to sleep), although the person feels a loss of energy, demotivation and apathy . It appears, for example, when a person suffers burnout and there comes a time when he feels he can not do more, that his resources are not enough to cope with the situation and he reaches his mental limit. Excess mental load : excessive tasks require that the level of attention and concentration is too high can cause the appearance of this phenomenon. The main problem is in the duration of this situation, which ends up exhausting the resources of the person. Factors of the organization : the climate and business culture, co-workers or leadership styles of superiors can also cause mental fatigue. The resources of each person : some individuals tolerate stressful situations better than others. Stress and anxiety : mental fatigue can also appear in situations of stress (for example, post-traumatic stress or work-related stress) or prolonged anxiety. Very mental works: those jobs with little physical involvement are more likely to cause mental fatigue. Depression : the symptoms of this disorder include this form of fatigue. Mental fatigue, that feeling that you have reached the limit and in which you feel mentally and emotionally exhausted, can be avoided and overcome. Below you can find natural ways to combat this phenomenon without having to resort to drugs. Many people experience mental fatigue because they do not nourish themselves as they should. 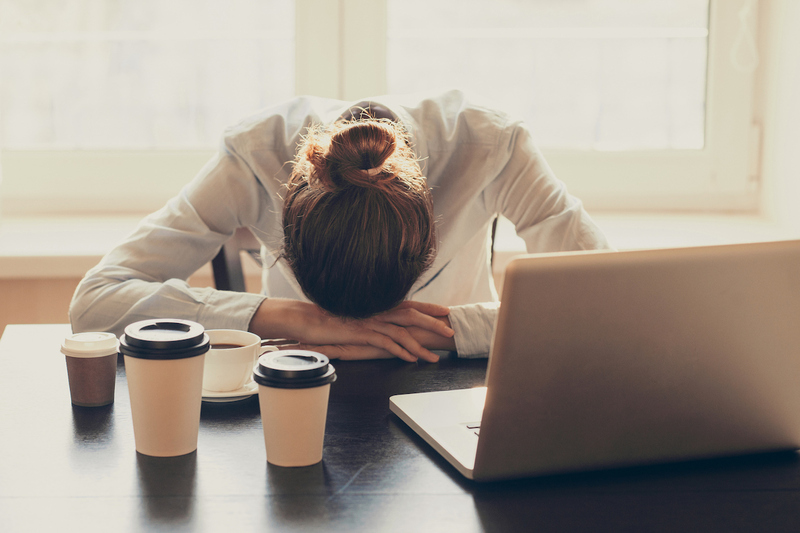 This can cause a person to lose concentration and feel tired and mentally exhausted, because your body does not have the necessary nutrients to function properly . Therefore, it is important to eat several times a day, preferably 5 times (that is, divide the necessary calories into 5 meals). Food is especially important in times when we have a lot of work. It is also important to take carbohydrates , because glucose is the brain’s energy source. Eating well keeps the mind active and reduces mental fatigue. Is there such an incredible concept as solid drive-thru food? Actually, it’s to a great degree hard to pursue a solid eating routine when you’re eating frequently at drive-thru food eateries. Drive-thru food is commonly high in trans fat, immersed fat, sodium, and calories. What’s more, it likewise will in general below in supplements and absolutely ailing in organic products, vegetables, and fiber. That doesn’t mean you need to maintain a strategic distance from cheap food altogether. It’s OK to enjoy a hankering each once in for a little while, yet to remain sound you can’t make it a customary propensity. The key is control both in how regularly you visit cheap food chains and what you arrange once you’re there. There are dependable decisions you can make that are more advantageous than others. The accompanying tips and menu proposals can enable you to remain on track. Simply recall that even the most beneficial cheap food alternatives frequently have other healthful downsides, for example, high sodium. So endeavor to hold drive-thru food to the periodic treat. Expect to hold your whole dinner to 500 calories or less. The normal grown-up eats 836 calories for every junk food feast and thinks little of what they ate by 175 calories. Guess don’t as well! Most chains post healthful data both on their sites and at the establishment area. Exploit this data. Choose nourishment’s that are bringing down in fat and higher in protein and fiber. Search for things with all the more well done, similar to fiber, entire grains, and top-notch protein. Additionally, go for choices that are moderately low in immersed fats. What’s more, avoid all things that contain trans fats. Expedite your own include things on the off chance that you truly need a well-being support. Notwithstanding when you arrange shrewdly, it tends to be really hard to get enough fiber and other critical nutrients and supplements from a drive-thru food menu. In the event that you prepare, you can bring solid sides and fixings like a dried natural product, nuts and seeds, carrot sticks, apple or pear cuts, and curds or yogurt. Adhere to a solitary ground sirloin sandwich patty. No twofold or triple burgers! Burgers with a few hamburger patties include heaps of pointless calories and undesirable fat (up to 800 calories and 40 grams of fat). Hold or go light on the mayonnaise. You can dispose of around 100 calories. Include additional ketchup or mustard on the off chance that you require a flavor kick. Go simple on unique sauces, which include a lot of calories. In the event that you would prefer not to manage without, request the sauce as an afterthought. A little goes far. Say no to bacon, cheddar, onion rings, and other calorie-loaded burger fixings. In the event that you need to include some intrigue, run with additional pickles or heart-solid avocado. Get some information about the no-meat burger or sandwich choices, for example, the veggie burger at Burger King or the flame-broiled cheddar at In-N-Out Burger. Skirt the fries. You’ll spare many calories (510 calories for an extensive McDonald’s fries, 340 calories for a medium). Look at the child’s menu. Junior and children’s-sized ground sirloin sandwiches, as a rule, have between 250-300 calories, settling on them a more advantageous decision. Job Application for World Largest Fast Food Company. Applying for employment at McDonald’s has never been simpler. You never again need to apply face to face as you can do it on the web. Nonetheless, you definitely know the advantages that accompany an occupation at a McDonald’s profit these opportunities and put your McDonald’s Application online in front of the opposition. There are different supplements that are ideal for the times when we have to make an extra mental effort. Some examples are: royal jelly, ginseng or ginkgo biloba … This can help us to be more focused and overcome those extra demands of some moments of our lives. Sleeping well has many benefits, and that is when we do not, our body and our mind notice it. Therefore, there is nothing better than a good rest to prevent mental fatigue and be more lucid and alert during the day. Experts recommend sleeping 8 hours, but there are people who need less to perform well. Taking a 20-minute nap a day is not bad either , because according to science, it makes us more focused and active. Meditation is an ancestral practice that is very fashionable, because it helps to cope with the pace of life of Western societies. It helps us to stop, to connect with ourselves, to be in the present and to have a calm mind . There are different types of meditation and all of them are very beneficial. If eating well is positive to maintain good levels of attention and concentration, just as necessary is to consume enough water for the body to be served. Dehydration is one of the main causes of mental fatigue , so it is necessary to drink at least 8 glasses of water every day, spread throughout the day. We spend many hours at work and, therefore, a bad work environment can end up causing us an excess of mental fatigue. And is that when one is comfortable in his work and is calm, one feels good and is more productive. When this is not the case, it is easy to feel mentally drained and stressed. Physical exercise is one of the healthiest habits that a person can enjoy, because it helps us feel better, improves our self-esteem and makes us feel happier because when we practice it we release different neurochemicals such as endorphins or serotonin. Scientific studies show that physical exercise improves our physical and mental health , so we must spend at least 30 minutes a day to practice it. Yoga, like meditation, is also an ancient practice that helps us connect our body with our mind. Some may think it’s the same as physical exercise, but it’s not like that. It consists of postures (asanas), relaxation (savasana), meditation (dhyana), breathing (pranayama), kriyas (cleansing), mudras (energy seals), kirtan (songs), mantra or rituals. In addition, the practice of yoga can include a lifestyle that is committed to ethical guidelines and values ​​based on well-being, as well as an adequate and healthy diet. If you are at work and you notice that you do not give for more at the mental level, then you may need to take a break and, for example, make your eyes rest away from the screen . If for example you work in front of a computer and have been in the same position for 3 hours, it is logical that you feel mentally tired. Do not feel guilty and disconnect 20 minutes, sure when you return you will feel better. Ideally, disconnect 10 minutes every 45 minutes. If you see that your mental fatigue has turned into exhaustion, then it is time to take a long breath , because you may be suffering from stress or burning syndrome. Maybe it’s a good idea to take a weekend holiday in the mountains or spend the day in the countryside or on the beach. The goal is to relax, let your mind rest and regain strength. A freelance writer, covering technology, startups and business. A contributor in various publications on general issues affecting the society.